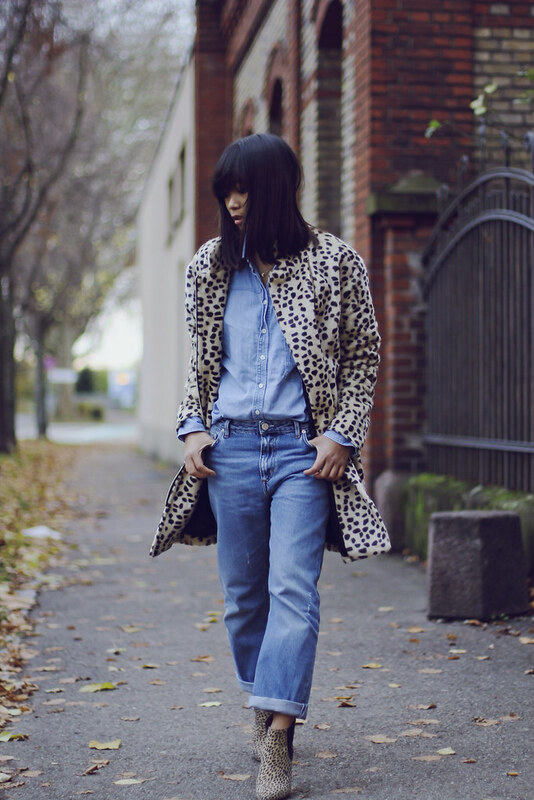 Mode Junkie: DOUBLE DENIM, DOUBLE LEOPARD. happy first of december.. not so long now..
spent my weekend finishing a very ambitious advent calendar project i had for my little boy. anyway, double is always better, no? so positively amazed how casual this outfit even though i felt kinda weird wearing matching "pimp" (according to my lovely boyfriend) coat and boots. but really loved the result! Yes! The result looks great on you babe! double is great! love the look! leopard is my fave. would love for you to check out my blog? Love your coat! I have a similar one I got last year by the same designer. I think it has the perfect print and same as the one you are wearing. I like how you styled it. love double denim especially with this coat and boots! nice look! 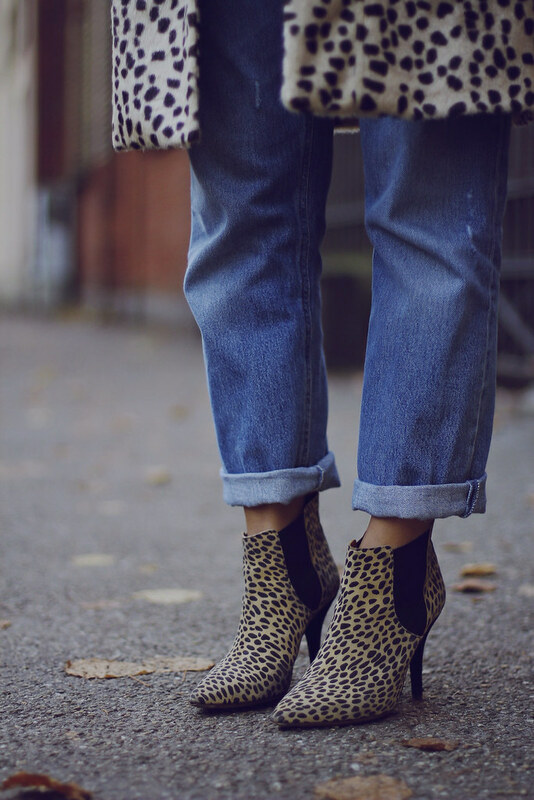 Double denim and leopard, awesome! Stunning outfit! 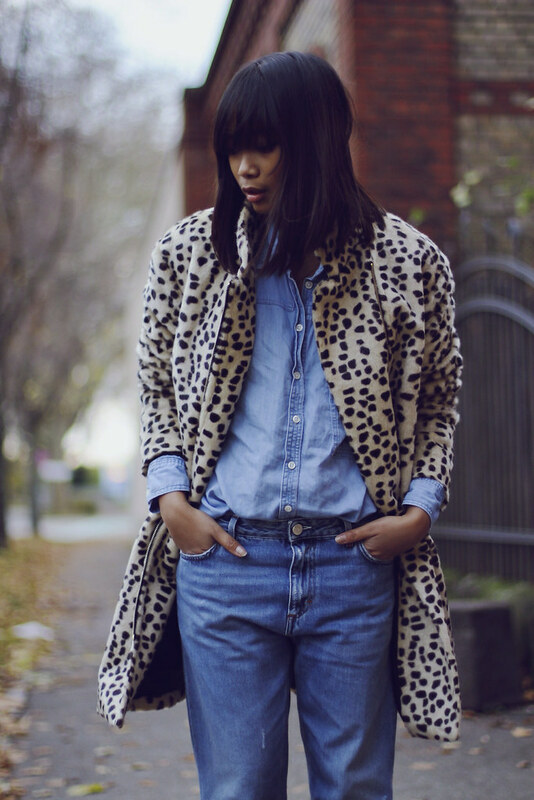 Love how you combined this awesome leo coat with denim! You look stunning!